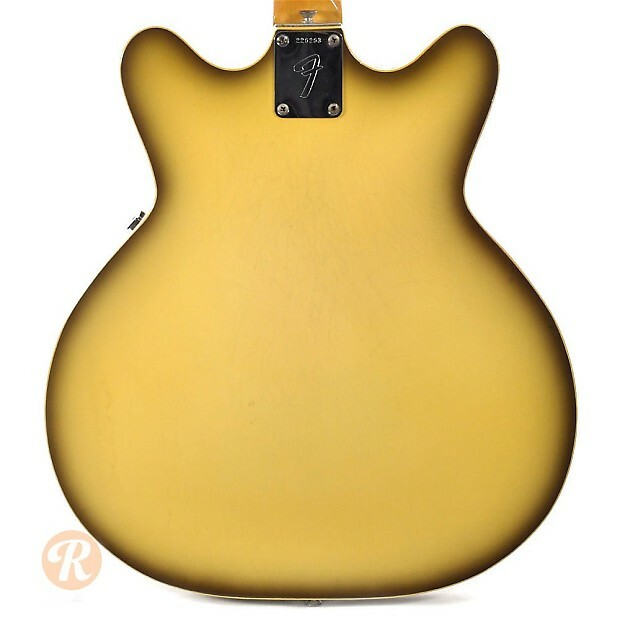 Designed by Roger Rossmeisl who came onto Fender after the CBS buyout, the Coronado series was Fender's first attempt to get into the hollowbody market dominated by Gibson, Gretsch, and other makers. 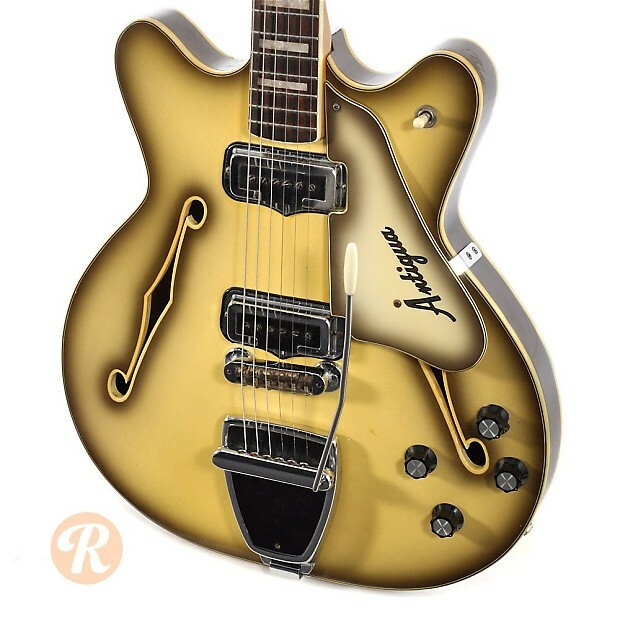 The Coronado was available in a few different configurations, and the Coronado II included two single-coil pickups built by DeArmond and block inlays on a bound neck. 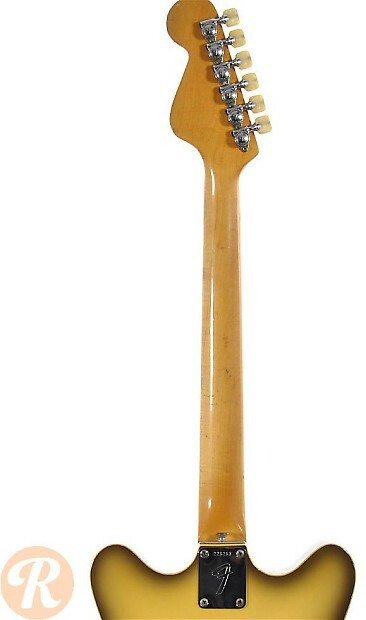 Like the Fender acoustics that were introduced in this era, the Coronado failed to attract attention from players and was totally dropped in 1971. 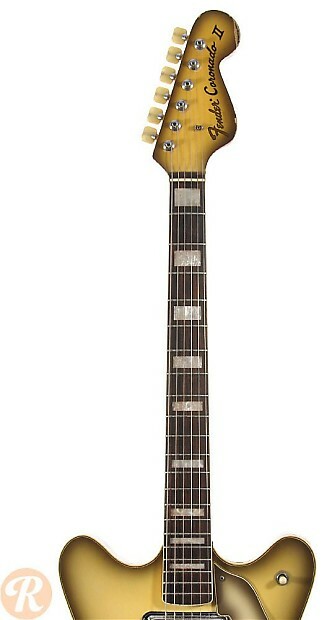 Finish Specifications: The Antigua finish option was added later in the Coronado's run. The finish was actually devised to conceal burn marks acquired by the body during the binding process.